They say that Marc Chagall’s art is like the sun reflecting its light through the windows of a church resulting is a carnival of colours. Looking at his beautiful paintings there could not be a more appropriate definition. Chagall a Russian naturalized French painter of Jewish origin, whose real name was Moishe Segal, has been undoubtedly one of the most representatives artists in the contemporary art. His paintings, inspired by the Russian fairy tales and the Holy Bible, were a stunning expression of how colours can overcome the outlines and expand to the infinite as it happens only in dreams. A dream that becomes reality since it will be possible to admire Chagall’s most famous and refined artworks at the Basilica della Pietrasanta for the first time in Naples until 30th June 2019. 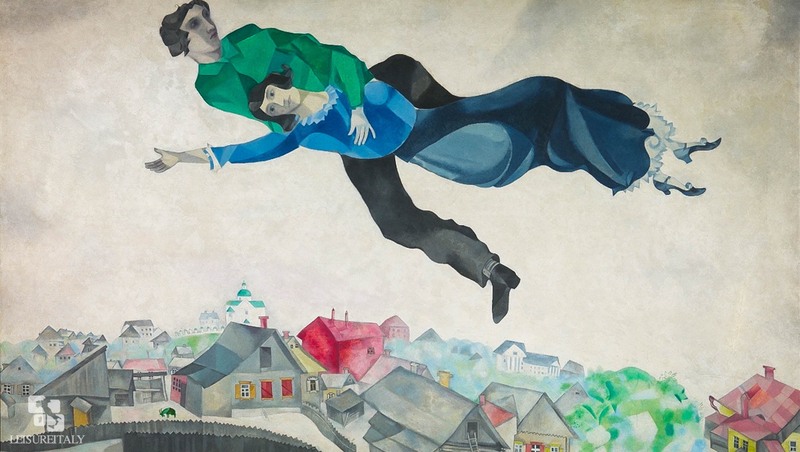 The exhibition is called “Chagall, Dream of Love” and includes 150 paintings that tell the life, the path and in particular the feeling of the great Russian artist for his ever-beloved wife Bella. Through drawings, watercolours and etchings, visitors will have the chance to travel into Chagall’s world made by indescribable wonders, childhood memories mixed with the Russian tradition of tales and amid poetry, religion and war. A universe of brightly coloured dreams, of intense nuances that give life to imaginative landscapes and characters, between reality and dream. The exhibition is divided into five sections: Childhood and Russian traditions, Dreams and Fables, The Holy World, The Bible, A Painter with a Poet’s Wings and Gravity-Defying Love. Among the artworks on display the famous “Le Cirque”, “Les Mariés sous le baldaquin”, “Bouquet de fleurs sur fond rouge”, “Le coq violet”, “Les Amoureux á l’âne bleu”, “Grand nu” e “Village Russe”. A core of rare and extraordinary works, coming from private collections and therefore difficult to access for the general public. The exhibit path, created with the contribution of the Fondazione Cultura e Arte and organized and produced by Gruppo Arthemisia, will be enriched with a ‘dream room’ where the works of Chagall will surround the visitor giving life to dreamlike images tailored to the suggestions of ‘A dream of love. The event also support the innovative project “Art of Solidarity”, created by Arthemisia itself with Susan G. Komen Italia – an organization involved in the fight against breast cancer that affects one in eight women in Italy. 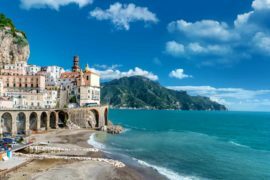 Arthemisia will donate part of the proceeds from the sale of admission tickets to the exhibitions to Susan G. Komen Italia for the realization of concrete projects for the benefit of people with access difficulties to care. The visit to Chagall, Dream of Love will also give the chance to visit the crypt and underground chambers of the Basilica della Pietrasanta where there are held the following exhibitions: “Sacra Neapolis – Culti, Miti, Leggende (Holy Neapolis: Cults, Myths and Legends)” in collaboration with the MANN, and “Napoli: Storia, Arte, Vulcani’ (Naples: History, Art and Volcanoes)”. For further info please visit the official website of the event.